A colourful introduction to some of the most interesting creatures that live in our New Zealand seas. Children have fun solving the rhyming puzzles and questions to learn about the intriguing lifestyles of: yellow-eyed penguin; hermit crab, humpback whale; starfish; mako shark; seaweed; dusky dolphin; octopus; red-billed seagull, albatross and the seahorse. Each section starts with a narrative rhyming poem that gives clues to the animals’ identities and ends with the inevitable question, What Am I?Turn the page to reveal which creature. 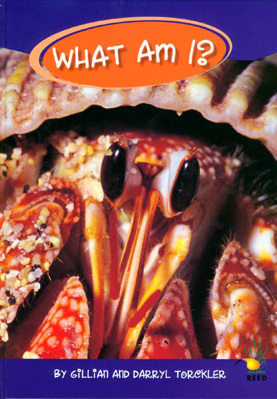 Includes information about the animal in side boxes; details about their life and activities (from the animal’s perspective; and several full colour detailed photography for each, including underwater photographs. "Stunning book - an ideal gift for youngsters"
"A bright, colourful introduction to 11 things dependent on the sea…A lively introduction for anybody, but particularly for younger children." "The pictures are very real like you are in the sea"
"Gillian and Darryl Torckler have compiled a fascinating book…"